If you’ve been following me on Facebook (or my trusty assistant, Riggins, on Twitter), you’ll know that we have been road tripping down the East Coast, which is why our posts have been scarce this month. Of course, all of this travelling means more time for reading, and more time for thinking about my favorite fictional vacationers—and there is no vacationer I love more than our Literary Hunk of May, A Room with a View’s George Emerson. 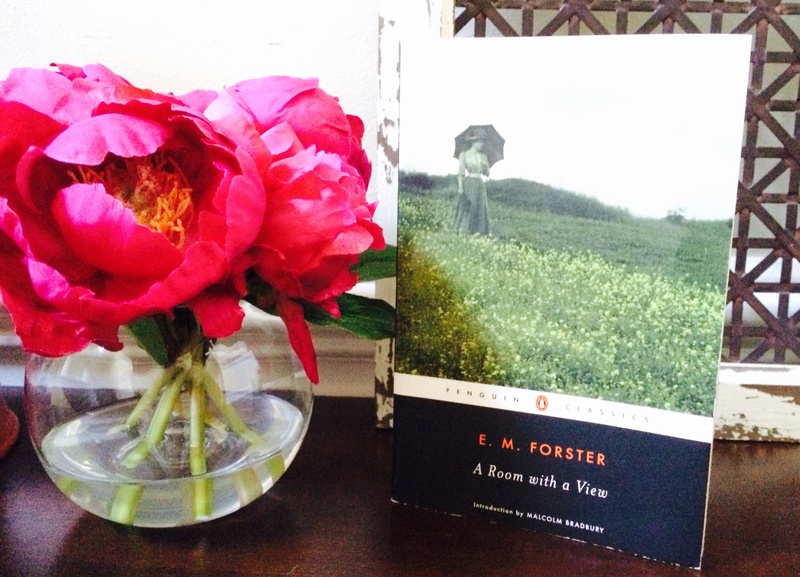 I love George Emerson, and I will love E.M. Forster forever for giving him to us. George is the perfect Edwardian hero because he is nothing like the hero you’d expect. He’s silent, sullen, and sometimes comes off as rude. He doesn’t conform to genteel English customs, and he says whatever is on his mind. He’s got the dark and mysterious thing going for him, but unlike your Rochesters or your Heathcliffs, George doesn’t have a terrible, hidden past, and there isn’t the slightest element of danger about him. All he is is a kind-hearted, sensitive boy with a thing for question marks, a boy who is really just trying to figure out what this crazy thing called life is all about. Oh, and he’s one heck of a kisser. One of the reasons I love A Room with a View so much is because it features one of the most unforgettable heroines in literature, Lucy Honeychurch. When you have someone like Lucy—stuck somewhere between her Victorian upbringing and her feminist desire for independence and adventure—you need to give her a hero who can match that spirit. It’s abundantly clear that her snobbish fiancé, Cecil, who wants to mould her to his liking, is not that person, but George—George tells Lucy that he wants her to have her own thoughts, even when he holds her in his arms. Those around him may think he’s of the “lower class” with “ill-bred manners”, but George is an intelligent man who acts from the heart and is far more enlightened than those stuffed shirts around him. And again, he’s a crazy good kisser. Anyone who has spent a summer afternoon with George Emerson knows just how true this is, and anyone who has ever fallen for him will never be able to look at a field of violets the same way again. Miss any of our previous Literary Hunks of the Month? Check them out here! Stay up-to-date with all of the book-perfumey fun by liking us on Facebook and following us on Twitter! Love this post (as I love all of your posts)! I have never read this but he sure sounds like someone I’d love to “meet!” Love the pic!